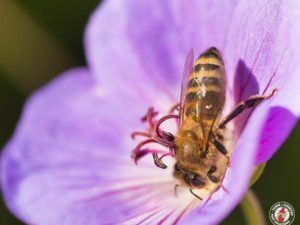 When it comes to the unpleasant effects that bees can have on humans, the painful and sometimes dangerous stings that they inflict is the first, and only thing that comes to people’s mind. With the exception of the occasional bee sting, what’s not to like about bees? After all, much of the plant life that humans take for granted would not exist if it were not for the pollinating insects. The health of the world economy also depends on bees, as a plethora of agricultural goods are only sold at a profit because of pollinating bees. And of course, there’s honey, which nobody dislikes. 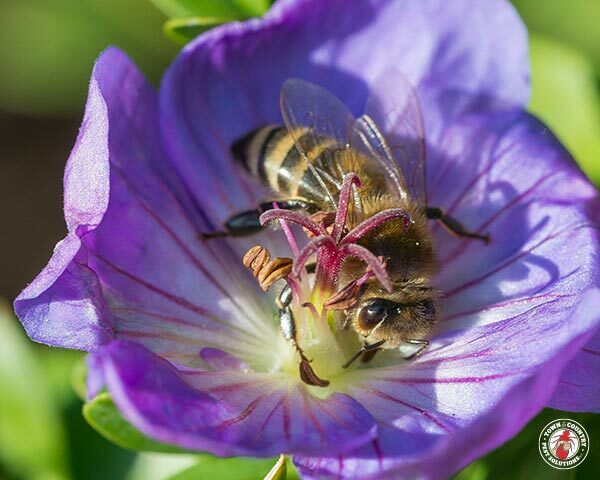 Considering the tremendous service that bees provide for humanity, most people have no problem taking a sting or two if that is the worst consequence of sharing the world with bees. However, this may not be the worst consequence, as crowds of people and even neighborhoods are sometimes bombarded with bee droppings. This phenomena sometimes occurs when human populated areas are located below a common flight path taken by bees kept in nearby apiaries. But in some very rare cases, crowds of people, or even one single individual can be showered with droppings from bees overhead. This is precisely what happened to a few of the world’s most beloved movie stars while they had been filming a cheesy horror movie about killer bee swarms. In 1978, a bad disaster movie called The Swarm was released. During filming, the movie’s stars, Michael Caine, Henry Fonda, Olivia de Havilland and Jose Ferrer were having a group conversation with live bees flying over them. At some point, the actors noticed what looked like tiny black dots spontaneously forming on their clothes. After a few moments of confusion, they collectively realized that the black dots were actually feces that had been landing on them from the bee swarm above their heads. According to Michael Caine, this unfortunate incident provided the first review of the movie that they had been making, as Caine believed that the film was no better than what the bees themselves had just produced. Have you ever come into contact with insect or arachnid feces?